SAN JOSE – The Center for Asian American Media (CAAM) is excited to announce the return of CAAMFest San Jose, which brings the innovative spirit and forward thinking of CAAM’s annual CAAMFest to the South Bay for four days of exclusive sneak peeks and film premieres, conversations with celebrated media makers and lively parties. Celebrating its 13th year, CAAMFest San Jose presents films and events reflecting the impact and influence of Asian Americans in Silicon Valley and their continuous innovation in technology, arts and culture, media and community. CAAMFEST SAN JOSE KICKOFF PARTY, Thursday, Sept. 17, at 7 p.m. Mingle with filmmakers, special guests and fellow film aficionados. Presented in partnership with Asian Americans for Community Involvement (AACI). 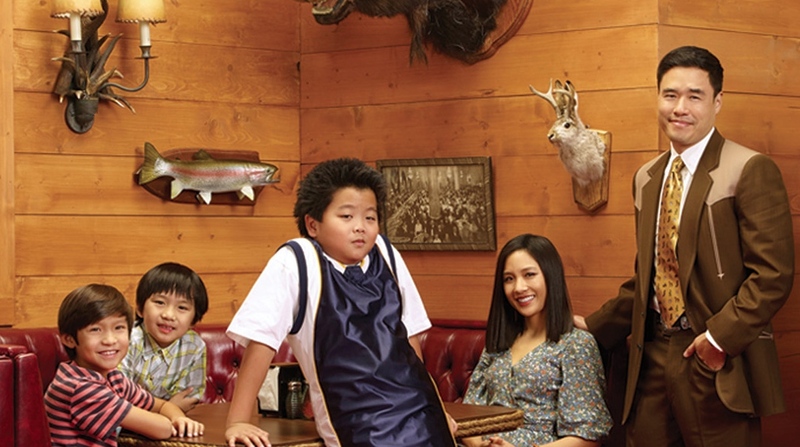 OPENING NIGHT: “FRESH OFF THE BOAT,” SEASON 2 EXCLUSIVE, Friday, Sept. 18, at 7 p.m. at Camera 3 Cinema. ABC’s groundbreaking series “Fresh Off the Boat,” starring Randall Park, Constance Wu and Hudson Yang, opens the festival, followed by the opening night party at 9 p.m. at the San Jose Museum of Art. Continuing the legacy of Margaret Cho’s 1994 “All-American Girl,” “Fresh Off the Boat” heralds a new era of Asian Americans in mainstream media. Special guest executive producer Melvin Mar will be on hand to celebrate the start of Season 2. At the museum, explore the latest exhibit, “Covert Operations: Investigating the Known Unknowns” and dance to hip-hop throwbacks provided by Richie Menchavez of Traktivist.com. Libations and small bites courtesy of Ginger Café, Chola Desserts and other local favorites. CHINESE COUPLETS, Saturday, Sept. 19, at 6 p.m. at Camera 3 Cinema. San Jose State alumna Felicia Lowe, who will be in attendance, offers perhaps her most deeply personal film with “Chinese Couplets.” Featuring Lowe’s own mother, whom she calls the “hardest story for her to crack,” it follows three generations of Chinese women as Lowe searches for answers about her mother’s emigration to the United States. CENTERPIECE: ARTIST SPOTLIGHT — GREG PAK, Sunday, Sept. 20, at 2:30 p.m. at Camera 3 Cinema. CAAMFest San Jose spotlights award-winning Korean American filmmaker and comic book writer Greg Pak. In a rare on-stage conversation, journey through Pak’s remarkable career and hear the behind-the-scenes stories on his creative achievements in comic books (Marvel’s “X-Men,” “Storm,” “Iron Man”) and cinema (“Robot Stories”). Moderated by acclaimed writer and cartoonist Gene Luen Yang (“American Born Chinese”). Guests will also receive an exclusive look at Pak’s newest comic, “Kingsway West,” featuring a Chinese gunslinger. CLOSING NIGHT: QUEEN CAAM, Sunday, Sept. 20, at 7 p.m. at Camera 3 Cinema. Indian indie favorite “Queen,” directed by Vekas Bahl, closes the festival. “Queen” follows Rani, who is all set for her wedding and honeymoon, until her egotistical fiancé calls it off at the last minute. She decides to go on her honeymoon alone and embarks on a quirky adventure of self-discovery. General admission: $12; students/seniors 65+/disabled: $11; CAAM/SJMA members: $10. Opening night screening and party: $35; CAAM/SJMA members: $30; screening or party only, $20. All-access pass: $100 general; CAAM members: $80. Passes and tickets are available for purchase online at www.caamedia.org. There is a $1.50 service fee for all tickets purchased online. You may also purchase film and party tickets in person at the CAAMFest San Jose box office, located in the Camera 3 Cinema lobby from Sept. 17 to 20. Tickets to the opening night party can be purchased at the door starting Sept. 18 at 9 p.m. at the San Jose Museum of Art. Camera 3 Cinema, 288 S. 2nd St.
San Jose Museum of Art (SJMA), 110 S. Market St.
Nomikai, 48 S. 1st St.
Japanese American Museum of San Jose (JAMsj), 535 N. 5th St.